The square was built in the 19th century after the reconstruction of Vilnius Cathedral. 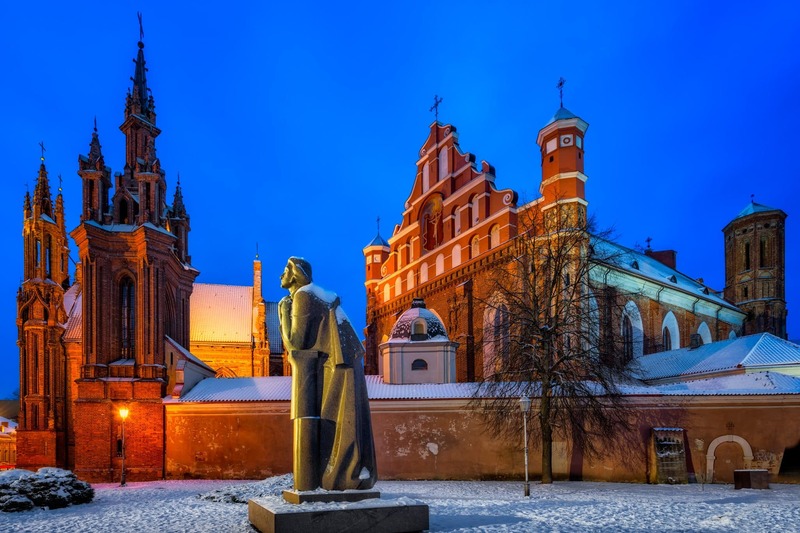 It is now the biggest square of Vilnius, a former area dense with public renaissance and medieval buildings. 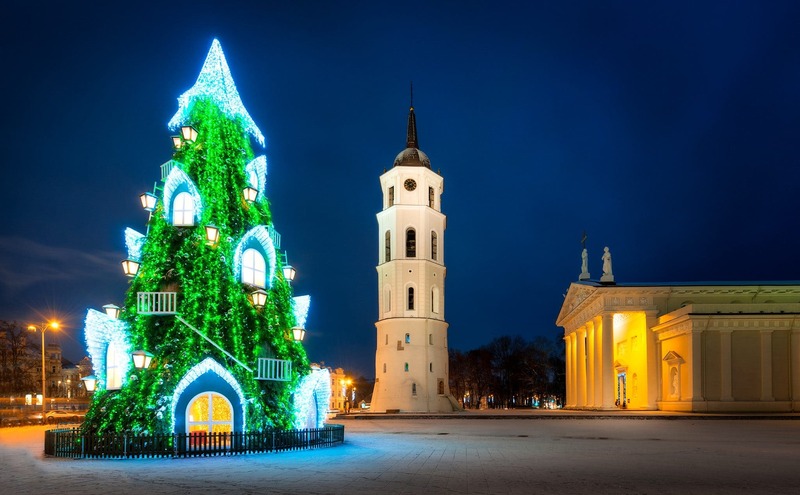 This photo of the cathedral square with the Christmas Tree was taken a day before celebrating New Year’s Eve in Vilnius a few years ago. Minus 23°C…. It was this cold for almost a week and then – the river stopped moving entirely! 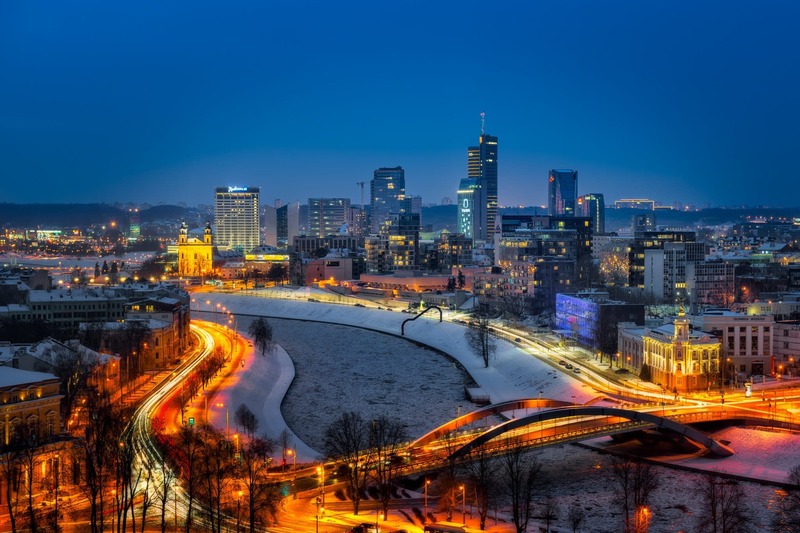 And now, Vilnius was calmer again – the ice bumping sounds now disappearing into itself. 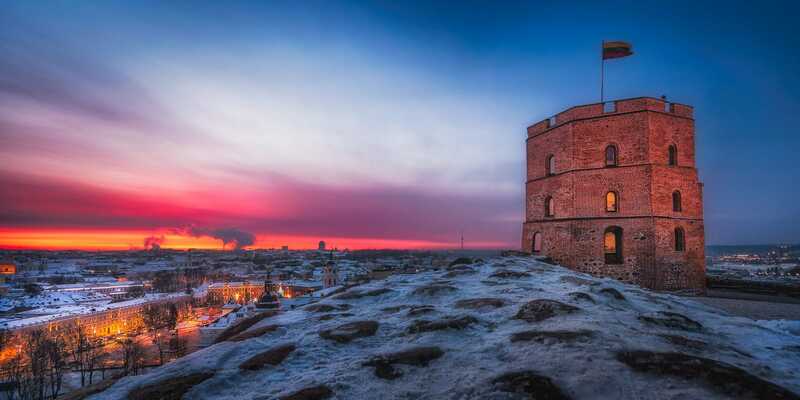 It was a weird feeling to stand up there on the hill of Vilnius Castle and suddenly enjoying complete silence.